New Year is celebrated in every area of the world because peoples know that they will achieve some good in their life in the upcoming year. 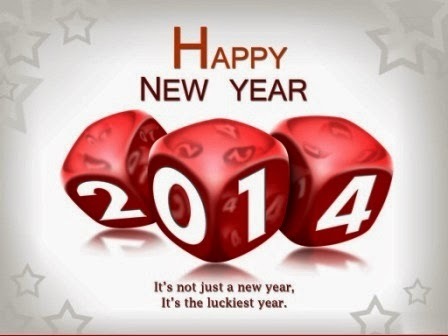 Everyone celebrates the New Year with their families, friends and colleagues with full of joy and happiness. Everyone wishes to each other in the New Year for their brighter future and good upcoming days. As the New Year is coming so we can say that it is a new chance to win and wash your bad habits. And it is a new encourages being a successful person in your life. So make this New Year as a new chance to win your dreams and make them true. 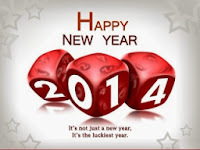 We are wishing you a Happy New Year 2014 and May god brings happiness in your life. Keep in touch with us for more updates about Exams, Results, News, Places, and more things about Uttarakhand the Devbhoomi (Abode of God). You may also follow our updates by email subscription and also like us on Facebook.